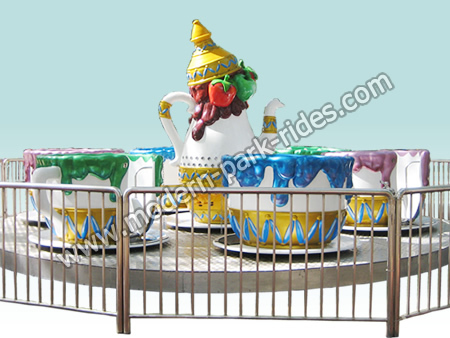 The amusement tea cup rides is a classic rotate amusement equipment. The design is new and attractive. Turn a feeling of warmth, passengers can freely twirl with equipment’s rhythm, and also be able to grasp the direction of rotation in revolution, then laughing in the revolution and rotation. The kids rides is suitable for amusement park, fun fair, fairground, indoor playground,etc.The amusement rides is with attractive appearance,reliable performance,easy installment,simple operation,high quality and low cost,the cup rides is the choice for you.